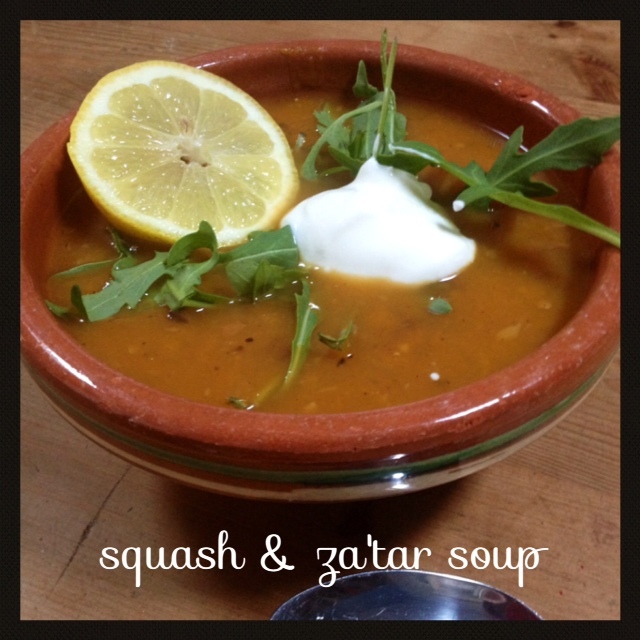 Squash & za’atar soup | La Rosilla - Lifestyle and food. Wet day, start of the week – something wholesome needed ….SOUP. 1 whole butternut squash – cut into chunks, do not peel. 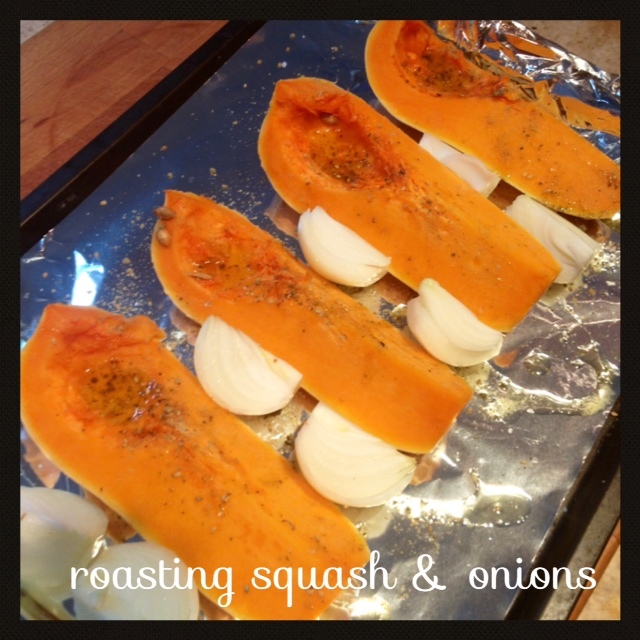 On a baking tray, put the squash & onion drizzle with Olive oil, and sprinkle with Za’atar. cumin , salt & pepper, roast for 30 – 45 mins in oven 180 c.
Once roasted, put in a saucepan add veg stock, and blend skin & all – add orange juice, adjust seasoning, heat through gently. To serve, I like to add a handful of rocket leaves, a dollop of Greek yoghurt and a slice of lemon to squeeze. *Za’atar is a Middle eastern spice mix – each family often have their own recipe but most include, sesame seeds, salt, oregano, thyme & sumac . It is also lovely mixed with Olive oil & vinegar for a salad dressing, or sprinkled on hot bread drizzled with olive oil. Sounds fantastic!!! going onto tonight’s menu….thank you!!! Perfect timing, I have a squash that needs using and I was recently given some za’atar.